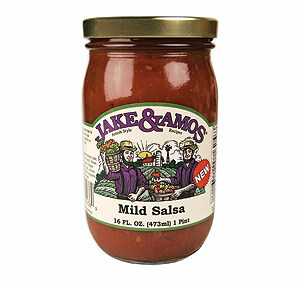 Finding a tomato salsa recipe is extremely easy since tomatoes are a basic ingredient in most salsas. However, making a homemade salsa with garden fresh tomatoes is always better when compared to a store shelf jar of processed and preserved vegetable chunks. Not to mention that when working from a recipe, you can make your own adjustments in regards to spiciness, consistency, and flavor arrangements. Oregano or cumin may also be added to further season the salsa and depending on your personal tastes. Begin by preparing the ingredients as listed above, taking caution when handling the peppers. If you can, handle the peppers with gloves or paper towels, wash your hands afterwards well with soap and water, and don’t touch your eyes for several hours. Put aside some of the pepper seeds so that you can add some later if the salsa is not spicy enough. Next, combine all of the prepared ingredients in this tomato salsa recipe into a medium bowl, toss, and sample. Sampling the sauce prior to serving it allows you the opportunity to make modifications. If the salsa is too spicy, add more tomato or if it’s not hot enough, add the seeds or a dash of ground cumin. 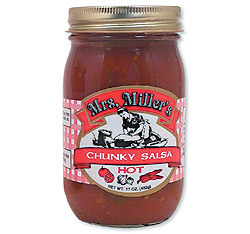 Let the salsa sit for at least one hour so that the flavors combine and develop and then serve as with tacos, chips, quesadillas, black beans, or other Latin dishes. 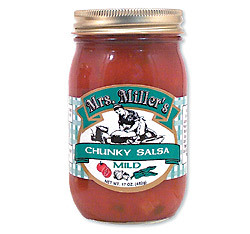 You may also opt to top chicken, fish, or vegetable dishes with this salsa to add more zest to your meal. For this recipe, you are required to do more than chop and mix. To start, fill a six-quart pot with water and let it boil before blanching the tomatoes. Drain the pot and cool the tomatoes under cold water, then proceed to peel and chop them. Place the chopped tomatoes back in the pot, bring to a boil, and reduce the heat. Avoid over cooking the tomatoes and make sure they stay chunky. Fill a smaller pot with two quarts of salt water and bring to a boil. Add the peppers, celery, and chilies, cooking them until they are tender. Drain the pot and combine these vegetables with the tomatoes. To the vegetable mixture, add the salt, oregano, pepper, and cilantro and simmer for 15 minutes. At this time you can choose to hot pack the salsa in sterilized jars and seal them for selling or you may let the salsa cool and the flavors settle before serving, either of which allows you to share this great tomato salsa recipe with anyone.